BILOXI, Miss. 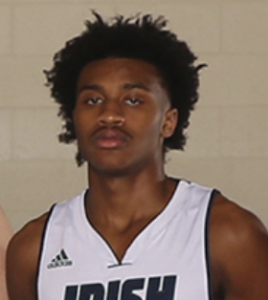 – St. Patrick Senior Horatio Parker will be signing to play on the Meridian Community College Eagles basketball team next season. During the two years Parker played at St. Patrick, he scored 917 points. The signing will take place in the library of St. Patrick Catholic High School at 3:15 p.m on April 16th. Family and the St. Patrick men’s basketball team are expected to join Parker as he signs with the Eagles. “Jay is an outstanding young man that has represented the Fighting Irish basketball program well over the past few years. He has been a great ambassador for St. Patrick Catholic High School and is more than deserving of this opportunity to play at the next level.” said St. Patrick Athletic Director, Eddie Burger. Parker comes off a breakout season with St. Patrick Catholic High School scoring a team high 624 points. During his senior season, Parker averaged 21.5 points per game, 2.8 assists per game, 5.9 rebounds per game, and 2.7 steals per game.